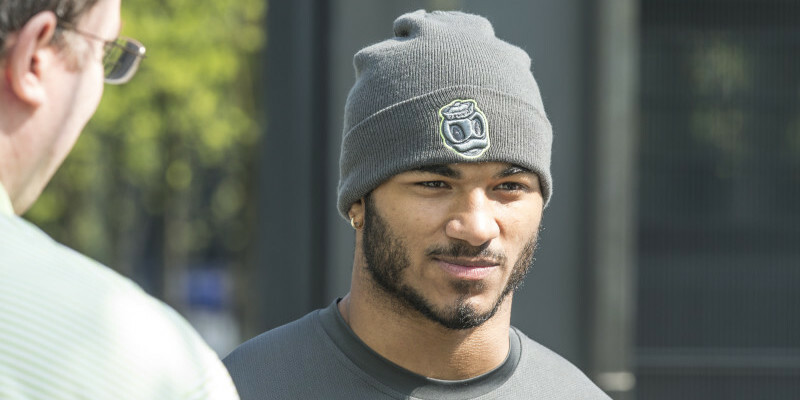 In an interview for FishDuck.com on Wednesday, I spoke with Oregon’s defensive back Charles Nelson at the Hatfield-Dowling Complex in Eugene. Nelson bolted onto the scene last year like a quick strike of lighting. His impact was fast and furious. 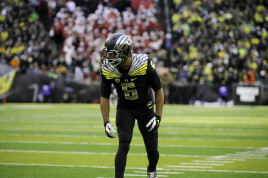 Nelson was a true freshman last season, and was utilized by the Ducks coaching staff in a plethora of ways. The speedster saw time at wide receiver, special teams, and he even took some snaps in the backfield with 11 rushing attempts. Charles Nelson will look to handle the secondary next season. The Duck secondary has some holes to fill, as Ifo Ekpre-Olomu, Erick Dargan and Troy Hill have graduated and look to take their talents to the NFL. But despite the fact that Nelson had some good offensive moments for the Ducks last season, Oregon’s coaching staff decided to move him to the defensive side of the ball. The move will give the speedster an opportunity to showcase his full athletic repertoire and allow Oregon to utilize one of its most intense-driven players on defense. Nelson has taken full advantage of his new opportunity this spring and he is happy with the results he’s seen. He added that he understood the importance of his move, and although he’ll miss scoring touchdowns and making acrobatic catches in the end zone, his mindset hasn’t changed. Everyday he displays a no-nonsense type of attitude, which has helped his transition.